I still have one of the original Patgagonia Puff Ball pullover Jackets. I used it for about 15 years. It’s faded and has a few rips in it, but it’s still intact and usable. 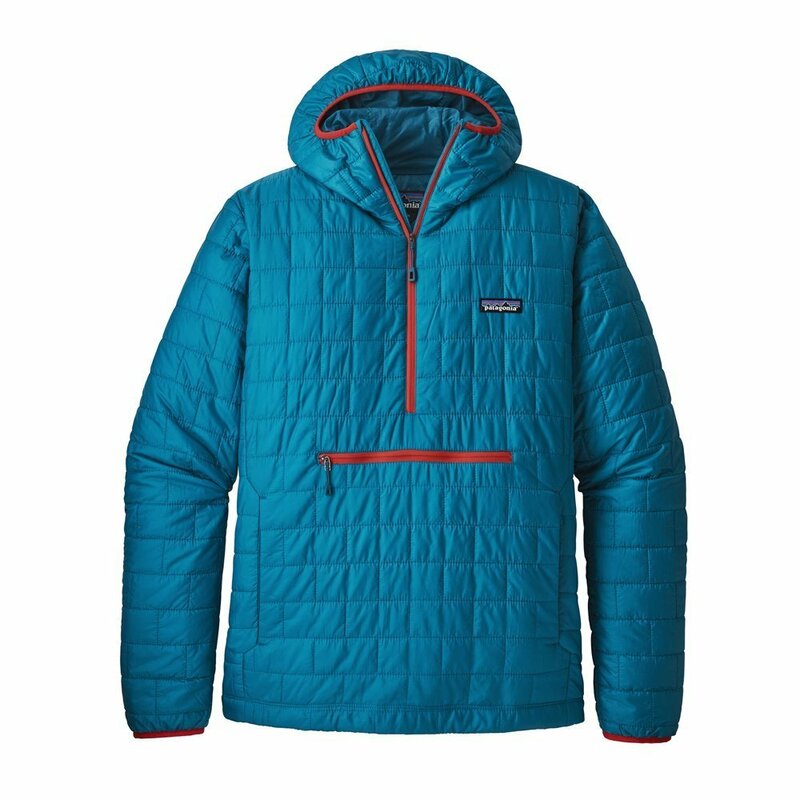 The only reason I bought the Patagonia Men’s Nano Puff Bivy Pullover is I wanted a light weight summer and winter jacket with a hood. An insulated hood makes such a big difference in the warmth of the jacket; it’s like adding another layer. 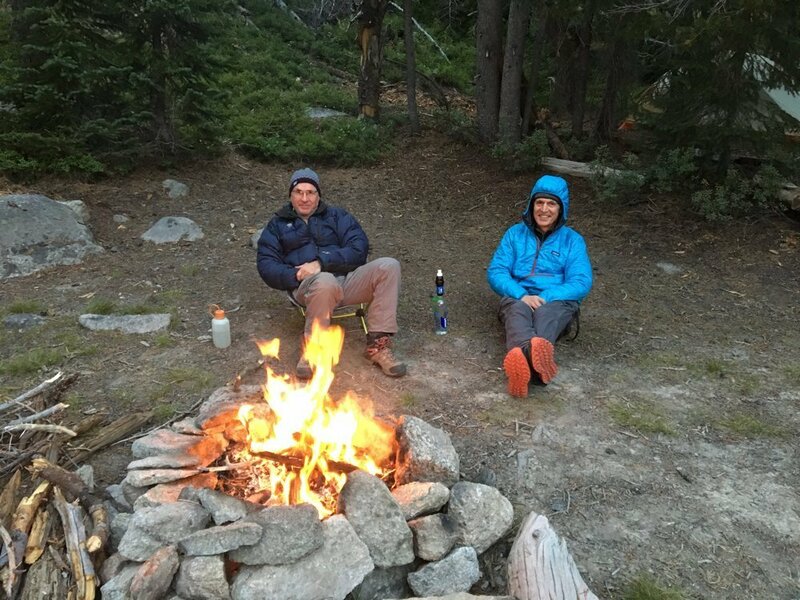 I use the Men’s Nano Puff Bivy Pullover in both summer and winter. In the summer, I use it for backpacking for my main warm layer. I hardly ever use it during the day, but in the cool alpine evenings, it’s like putting on a light weight sleeping bag. Put on the hood and you’re tucked into a warm cocoon. In the winter, I use the Men’s Nano Puff Bivy Pullover for my extra layer. Since I rarely take a wind parka, it doubles as a wind parka and an insulating layer on days below 15 degrees. 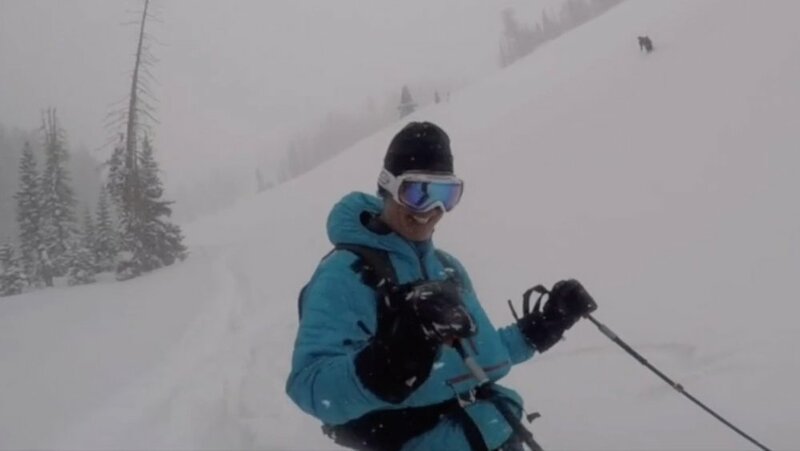 I use the Marmot DriClime Wind Shirt as my main skiing jacket, but the Men’s Nano Puff Bivy Pullover is always in my pack as my reserve insulation. It’s light and very compressible. It’s very light AND very warm – that’s a perfect combo for light weight backpacking or backcountry skiing. The Hood. Can’t beat the tight fitting hood. When you close the 1/3 length zipper, the hood of the jacket closes tight around your face and neck. There’s no need to pull strings to adjust it: it just fits perfectly to create a cocoon of warmth. The Kangaroo-style hand warmer pocket – a great place to stuff your hands while hanging out in camp. The Zippered Torso Pocket – You can stuff all kinds of things in there. It’s so big, I use it to haul in all the stuff on my car seat at the end of a day: coffee cup, goggles, mittens, iPhone, etc. It’s breathable even when you are exercising vigorously. 55% of the coat is made from recycled material. I especially like that Patagonia makes an effort to protect our planet. We need more corporations like them. The quilted stitching started to unravel in a few places, especially on the sleeves. My wife has the same coat and the stitching has unraveled on her coat too. It’s not a big deal since it doesn’t occur at a level that would affect the insulation of the coat. Bottom Line: I highly recommend this coat for a main insulating layer. I take it on all my backcountry ski tours and summer backpacking trips.